Zhengzhou CamelWay Machinery manufacture produces tower cranes, construction elevators, concrete mixing stations, JS concrete mixers, concrete batching machines, stabilized soil mixing stations, wheel loaders, concrete transport tanks, JZC concrete mixers and other construction machinery.As a professional concrete batching plant producer, Zhengzhou CamelWay Machinery can provide high-quality products and professional suggestions. 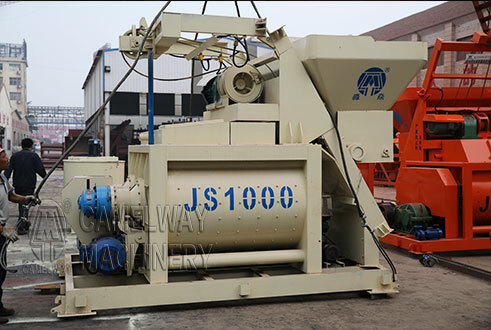 Assembling double shafts & motors, CamelWay Js1000 concrete mixer gets higher mixing power. Twin shafts are reduced to wear by high-resistant manganese steel alloys powerful shafts. It is widely applied in construction projects like buildings, roads & bridges.